Blooming florist is a success company in Malaysia by using e-commerce method to deal their business. This method brings a lot of competitive advantages and led their business throughout the world- globalization. Selling flower is their main business via online and sort to few types such like congratulation, happy birthday, new baby, wedding flowers, condolence and so forth. In order to fulfill the customer needs, blooming florist also provide add-on item such like wines, toys, cakes, cookies and so on as long as achieve every customer satisfaction. Besides that, packages are provided by following seasonal and each cultural festival. All can search from blooming.com.my. Foreign customer can purchase flower via blooming florist or interflora because blooming florist is one of the member of Interflora and the delivery is provided globally which show in blooming florist website. The site design and layout are very simple but detail. All type of flower and item are classified in simple form in order the customer can search easily. Each type of flower is disclosed by photo clearly and attached with code and price in Malaysia ringgit. Shopping cart is provided in order the customer can purchase all kind of flower that he or she need in a time and attach the card message. Customer can pay by using Visa and master card and some credit card is given promotion such like discount on flower such like Citibank and Hong Leong bank. 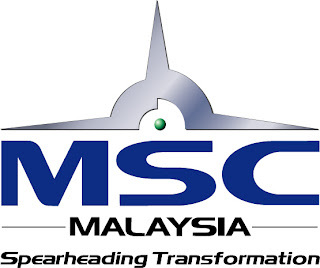 Malaysian e-government initiative started in 1997 and is one of the flagship applications of MSC which aims to transform Malaysia into a knowledge-based economy and society towards Vision 2020. E-government seeks to improve the convenience, accessibility, and quality of interactions between citizens, business and government sectors. 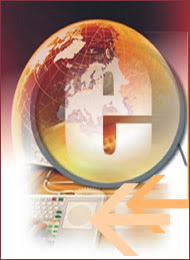 Malaysian e-government was reported to rank 25 out of nearly 200 countries in year 2007. E-government offers application such as e-Filling, Renewing Road Tax and Driving License Online, KWSP’s i-Akaun and E-Perolehan. LHDNM e-Filling service was introduced to corporate taxpayers and individual taxpayers in 2003 and 2004 respectively. It provides a channel for taxpayers to file their return. Now, we can renew road tax and motor insurance policy at http://www.myeg.com.my/. It also provides a list of about 100 insurances companies to choose from. Besides that, we can also renew driving licenses and pay traffic summonses online through http://www.jpj.gov.my/. Other than that, KWSP's i-Akaun is an EPF account which available on the internet. Members can use it to check account's status or history of transaction, and also to calculate amount eligible for withdrawal. Employer can use it to submit form and make payment online, it is also convenient to update correct and complete employees' information. E-perolehan is an online procurement system that allows suppliers to offer their products or services online to government. They can receive, manage and process purchase order and receive payment via the internet. Malaysians are still skeptical to trust electronic transaction, such as paying bills online. Some citizens may face language problem to use government websites as they may not be Bahasa Malaysia or English literacy. As consumers are seemed likes “forced” to comply with government’s requirement in implementing e-government’s plan, they may be unwilling to use or participate in it. Besides that, broadband services is not very satisfactory, many citizens still do not have the internet access at their home. Government should make sure the decision and policy they made are keep pace with the technological change and progress in ICT and multimedia industries. To be successful, e-government needs marketing expertise to better promote awareness, encouragement and dissemination of information on the benefits that can be obtained by citizens and other users. In my opinion, our government is doing very well in implementing e-government, especially with the introduction of various government website, such as http://www.gov.my/, however, more effort should be put to increase the usage of it. Corporate Blogging: A new marketing communication tool for companies. Well, is time to talk about the topic for E commerce? Today the topic im going to talk about is corporate blogging which is a new marketing communication tool for companies. What is corporate blogging? Corporate blogging used by organization to communicates among the managers, employees and users and it consider as a powerful tool to reach the goal set by organization. Corporate blogging can be divided by 3 types which are internal, external and CEO Blogs. Internal blogging usually participated by employees by sharing the information and discuss the important issues in the organization which may help the organization to collect the intelligent and have a better understanding within the employee’s category. External blogging is a web blog which allow employees, team or spokesperson to share their views. 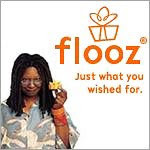 It usually used to promote or announce the latest products or services provided by that particular company. The last type of corporate blogging would be CEO Blogs which only used by CEO in the organization to share and discuss the important issues. One of the pros for this tool is it plays the effective part in orders to replace the conference or printed memos and it be more accessible. Besides that, the top manager could communicate directly with customer, suppliers and investor and employees as well to help disseminate and explain strategy. In addition, the comments or the feedback of the products or services could help the organization to have a better message of the acceptance of the users towards the products or services. However, there are some cons in fact of using corporate blogging which is the user of this kind of tool have to master this style of communicating to make sure the blogging done nicely and attractively. Besides that, some of the company may control the comments or feedback which may causes some bad reputation towards company and it is bias. 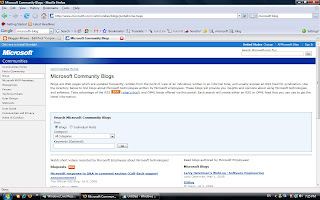 One of the successful example of company using corporate blogging is Microsoft, Microsoft set this corporate blogging in their company home web page. Inside Microsoft corporate blog, the company encourage their employees to write the latest technology and information of the company and introduce by blogging. Besides that, this will benefit the employees that encourage the employees in the company have a better understanding towards the latest products or information by blogging. On the other hand, these blogs would provide the users insights and opinions about using Microsoft technologies and software. Auction is a bidding market mechanism where buyers bid and sellers offer in a competition manner to get a products or something which the final price is reached. Thus E-auction is a electronic auction that done through the internet. 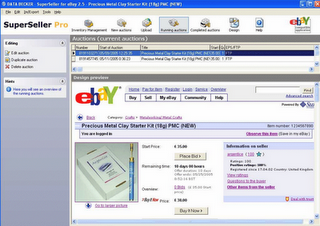 Shilling: It is a place where placing fake bid on auction items. The main purpose is to rise up the bidding price. Bid shielding: there is some phantom bidders bid at a very high price at the start of an auction and pull out at the last minute and this will cause a bidder of a much lower price to win. Beside that, there is also a lot of way of fraud can happen. Some will charge with a high shipping costs and handling fees, misleading the description like put on the fake picture of the products, failure to ship to the products and many more. User identification verification - it encourages users to provide information for online verification. Authentication Service- it is a service to determine whether an item is genuine and described in proper manner. Feedback forum – this is a forum that provides users to express out their experience dealing with e-auction. Insurance policy – there is some insurance policy that provide to customers or users like the insurance policy by Ebays with no cost at all. Buyers also need to take note when they are dealing with e-auction. Buyers are advise to read the company reputation whether the company can be trusted before making any transaction with them. Some of the company who deals with the e-auction will provide some forum to let users to read on the other users comments towards their company image and products. Nevertheless, check the courier services provided by the company to make sure the delivery are delivered on time without any problems. On the other hand, buyers should be smart enough and bear in mind never bank in money to other people account easily cause there are some fake accounts created to cheat buyers. Hope that can help you to prevent fraud during transaction is being made. Every investor is looking for high profitable investment, when they discover low or zero risk and high return via internet. They will take all their property and cash for the investment in order to not miss out the chance. They may not have realized that they are entring an illegal investment website and thought have a big “free lunch” in this world, investors will lose their money eventually. Investors are strongly advised to check on the licensing status of any investment scheme that they intend to invest in, with the relevant local or foreign authorities. Some websites claimed to be legal but the SC advised the public to check the list of licensed intermediaries available on the SC website: http://www.sc.com.my/ . Malaysian police conducted major raids in Kuala Lumpur area and succeed to arrested more than 30 foreigners who operate illegal website to snared victim across the Asia-Pacific. For those who are guilty of illegal deposit takong face jail up to 10 years or a fine of RM10million, or both. However, a person convirted of money laundering will be fined RM5 million or jail up to 5 years , or both. in my opinion, when we are looking for the investment, we should concern about the particular investment must supported by Securities Commission strictly and not looking for the low or zero risk and high return investment that shown on internet. Mobile payment systems in Malaysia: Its potentials and consumers' adoption strategies. Mobile Money is a PIN-based Mobile Payment Solution designed by Mobile Money International Sdn Bhd to overcome the limitations created by cash, cheques and credit cards. It unlocks the power of the mobile phone to make payments, allowing registered users to pay for goods and services at anytime and anywhere using only a mobile phone coupled with a 6-digit security PIN via Short Messaging Service. This gives the freedom to shoppers to buy products online and pay the merchant using his or her mobile phone without being physically present at the store. Mobile money will encourage more consumers to shop online. This will definitely be a great benefit to the e-commerce industry in Malaysia. It will surely encourage more merchants to adopt online selling as an extra sales channel which complement perfectly with their offline sales channel to help them SELL MORE of their goods and services. Realizing these needs of merchants in Malaysia, we are the 1'st shopping cart software provider who has integrated Mobile payment as a method in our webShaper e-commerce software. This feature allows merchants to accept payment via Mobile payment and process the payment in real time within clicks! The Bank together with Malaysian Communications and Multimedia Commission will work towards providing the appropriate environment for economic development and to catalyze the transformation of the mobile initiatives. This will also include engagement with the market participants, payment service providers and industry players to collaborate in these important areas. In order to pay using Mobile payment, a shopper must have either a savings, current or credit card account with participating banks. It functions like a Credit Card if a shopper applies for a "Pay by Mobile Phone" credit card account such like Hong Leong Mobile Credit Card. The shopper will be billed by the bank accordingly by month's end. In addition, it functions as a Debit Card if it is tied to shopper's savings or current account. The amount will be deducted instantly from the account upon successful transaction. Please take a look at the screen shots to see how it works and interact with our online storefront solution. In my opinion, we no need bring wallet or purse in future. We can go anywhere at anytime by just bringing few cards. the mobile payment system is not active in Malaysia recently. Government should do a lot of promotionss and advertisements in order to encourage Malaysia citizen aware the benefits of mobile payment system. Electronic currency, which also known as e-money or digital currency, is the money that holders use to buy goods and services that the vast internet offers. It involves the use of computer networks, internet and digital stored value systems. In general, e-currency can be classified as indentified e-money and anonymous e-money. 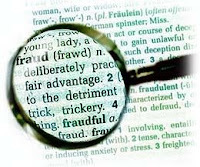 Identified e-money contains information revealing the identity of the person who originally withdrew the money from the bank. However, anonymous e-money that withdrawn from an account can be spent or given away without leaving a transaction tray. Now, let’s have a look at one of the E-micropayment system. In 1990, Professor David Chaum formed a Dutch firm called DigiCash. With its patented advances in public key cryptography, it has pioneered development of electronic payment mechanisms for open, closed and network systems that provide security and privacy. At the moment, DigiCash provided a new concept in payment system, combined the computerized convenience with security and privacy that improve on paper cash. It offered a variety of products, including Blue, CAFÉ, DyniCash, ECash and Facility Card. Throughout the history, DigiCash has developed leading edge products and partnered with many companies to provide advanced payment system technology to the market. The story of DigiCash has not ended yet. In September 2005, a team of software industry veterans and members of elite technology units of the Israeli Army founded DigiCash again. Based on patent-pending technology, it aims to provide a digital implementation of online offers and digital currency empowering business to convey tangible and persistent incentives to customers instantly and in online context. As credit card is very common and popular nowadays, E-currency operators should differentiate themselves with it and let customers know what makes them better than credit card. In other words, they have to create more competitive advantages over credit card in order to compete with it. what is the time now ?? ?